Ready! I just finished the third volume of the Arabica series. I already mentioned that Fake Booij made a second compilation, in answer to my first selection of these Middle Eastern exploitation pop. When I made part one, I thought that it would be very difficult to come up with another CD full of Arabicana, but in fact I think that Fake’s CD is better than mine. And now there is another 80 minutes of rock’n’roll and pop with Arabian influences. Well, not only Arabian: also Egyptian, Persian and even African. Just as many of the musicians that made these records, I can hardly tell the difference. As you know, geography is not one of my talents. 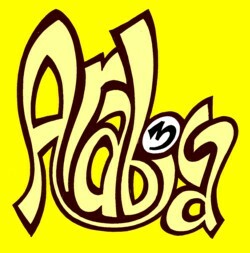 For Arabica 3 I used five tracks from one of the best compilation CD’s that I know of: Jungle Exotica Volume 2 . 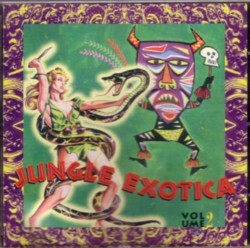 I mentioned the first Jungle Exotica LP and CD in an earlier episode of this Soundtrack, but actually the second volume is at least equal as good. (I just checked and saw that Volume One can still be bought at several places on line; I am not sure about Volume Two.) On this second CD is a track named “Turkish coffee” by Omar Key. I recognised this as the same recording that I have on a 45 by Laguestra, the Dutch exotica king. I guess that the editors of the Jungle Exotica CD had a copy of Laguestra’s record and though that Omar Key sounded better than Laguestra, because nobody in America has ever heard of that name. But it could also be that Laguestra’s record was released in the states under a different name. Record companies do these things: I have records that were released under at least three different names and titles! Here is Turkish coffee by Laguestra a.k.a. Omar Key. The best cup of Turkish coffee I ever tasted. Delicious! Very nice. Id does have a certain percolation.